Where parents want their children to study at a religious school - often known as a 'faith school', which teach an agreed religious syllabus and are responsible for their own admissions policies - there the independent sector offers a variety of opportunities. This is because some of the barriers to entry in the state maintained sector, such as catchment area, are usually eliminated in the private sector, so Christian parents can usually choose between several independent faith schools in their area and beyond, (there are more than 7000 Christian faith schools in the UK, including state schools). Members of the Roman Catholic church, as well as members of other religions, including Judaism, Hinduism, Islam, Sikhism and Quakers, also find schools catering for their particular faiths. This article will look at applications for how pupils can apply for entry into a faith school. Since faith schools are autonomously run, each school organises its own admission policy. Some of the specifically religious elements of selection may, however, include a range of issues. Some of these are the same as those in mainstream education, such as whether a sibling is already enrolled in the school and the locality of the applicant's family home. Other issues are more religiously specific, such as whether the child and his or her family are practicing members of the religion, which might need to be backed up with documents such as a reference from the family's religious leader, or proof of regular attendance at a house of worship. Some independent faith schools are also academically selective, and thus will have admissions policies that take into account some of the entrance exam and interview issues written about elsewhere on this website. Apart from necessary religious evidence as listed above, this process is similar to the admissions process for other independent schools. Parents should visit the potential faith schools they are interested in their child attending, discuss their child's individual needs with teachers, and talk to students and parents to try to ascertain whether the school would be a successful way for their child to receive his or her education. It is a good idea to begin looking at schools well in advance of the time that a child is ready to move, as places at independent faith schools can fill up more quickly than other independent schools, especially in locations where there are limited numbers of schools of a particular religion. 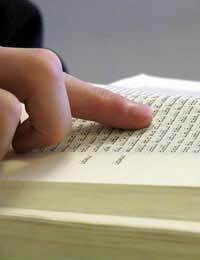 It can be a good idea to talk through the schooling options with your religious leader - a priest, rabbi, imam or a figure of a similar stature - as it is likely they have come across the issues before and may be able to offer advice from their experience of dealing with faith schools and writing letters of reference. If your religious leader knows your family and particularly the school candidate well, he or she might also be able to offer advice on whether the school(s) you are considering would be a good fit for your child, as well as putting you in touch with other families who have been through the faith school application process. If they also have a child at your favoured school, this can be another source of invaluable entry advice.